"Fergs house" Grandpa, Eleanor (Mintie Alton), Anna, & Robert (Alton). Gift of Ava Bickner Crowe. Present home of Mrs. Drew Sherrard. [Stamp]: Mrs. Edna K. Bickner, 526 2nd Street, Oswego, Oregon. Description Mounted on cardboard. Pinholes in cardboard. 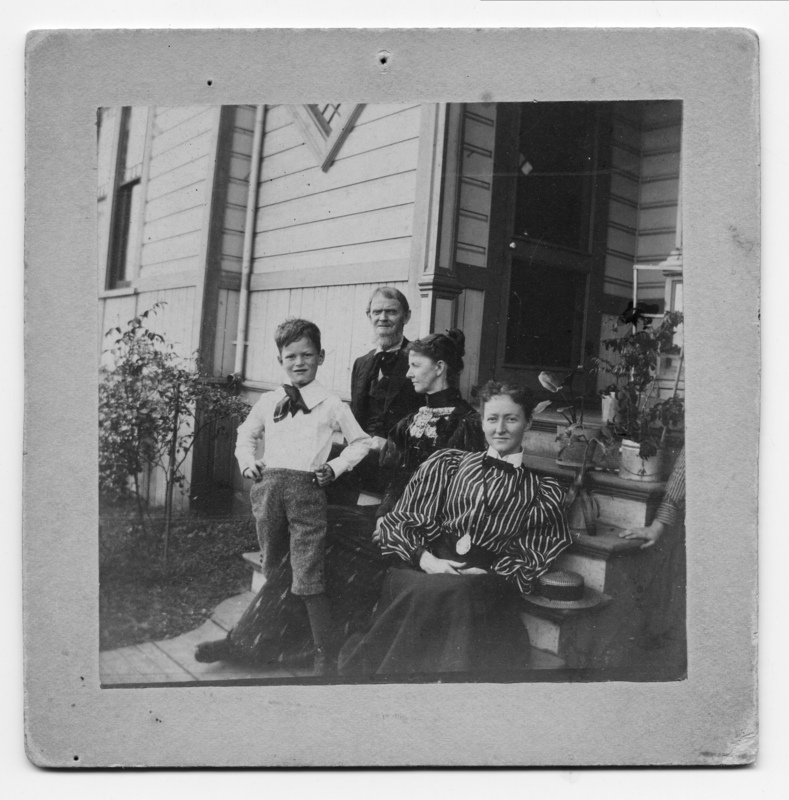 Transcription "Fergs house" Grandpa, Eleanor (Mintie Alton), Anna, & Robert (Alton). Gift of Ava Bickner Crowe. Present home of Mrs. Drew Sherrard. [Stamp]: Mrs. Edna K. Bickner, 526 2nd Street, Oswego, Oregon. Physical Description H 4 1/4" x W 4 1/4"